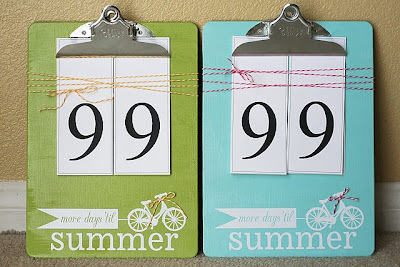 I think any teacher would appreciate a summer countdown calendar! This idea immediately made the short list of ideas I am considering. But I think I will modify it a bit and have the kids write something about their teacher on each day! There are only 38 days left until summer vacation here, so by the time Teacher Appreciation rolls around it will be about one card per kid which will work perfectly! You can see the tutorial for this cute summer count down clipboard HERE. 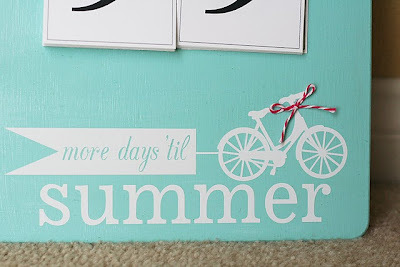 That summer count down is adorable. Maybe if I had such a thing my children would quite asking me how many days there are until school gets out. This is a really cute idea, especially as a creative gift for a teacher. Love it! How about a Kentucky countdown calendar!